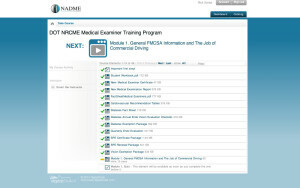 Easily keep track of your progress with an easy-to-understand index of each modules’ components. 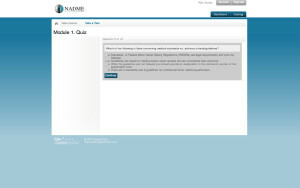 Receive your scores instantly with our online multiple-choice questions. Multimedia lessons combine text, audio, photo, and video elements to effectively convey an array of information. 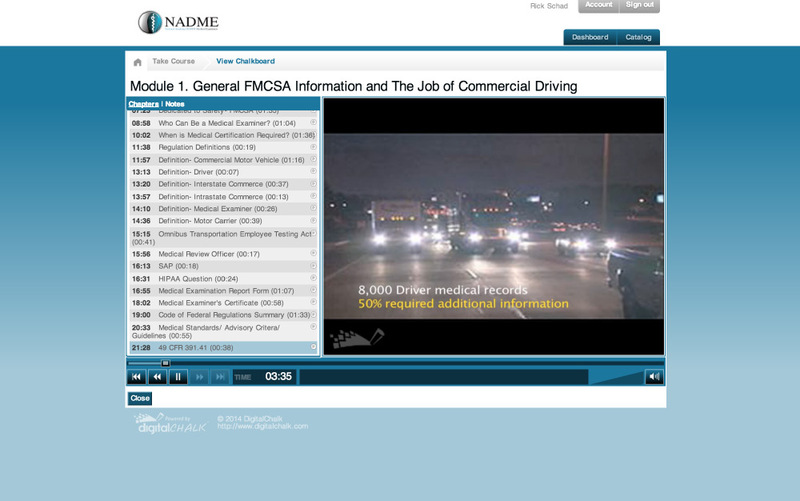 A dynamically created chapter list helps you review specific sections of each video. 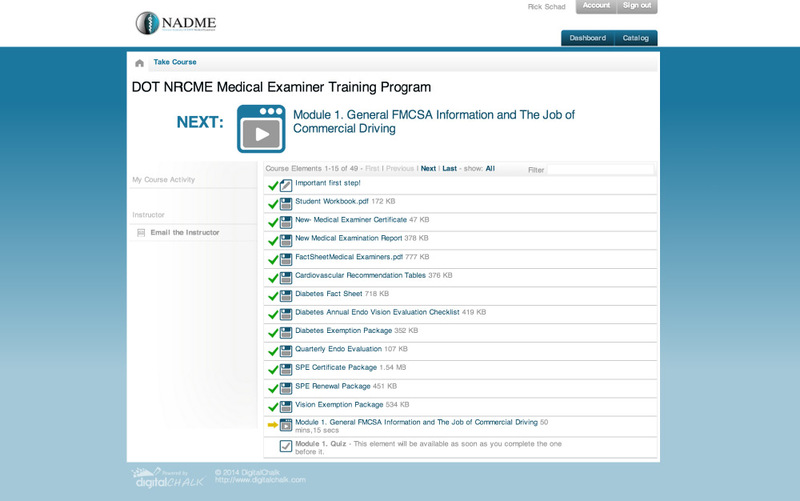 Full coverage of the FMCSA DOT Commercial Driver Physical and Examination preparing all MD’s, DO’s, DC’s, NP’s, and PA’s for the NRCME Certification Exam.